creases and enhances the iron gliding on the material. Ironing without steam. 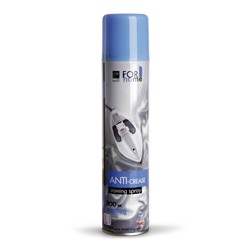 Protects fabrics from high temperature.